Coastal and submarine landslides occur on average every 30–50 years at the western tip of the Gulf of Corinth. These landslides trigger tsunamis and thus represent a significant hazard. 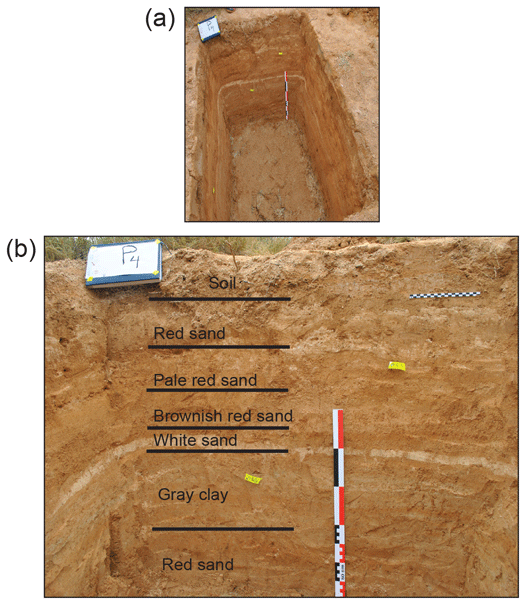 We realized an inventory of the submarine landslide deposits in the western Gulf. Six large events are identified in the last 130 000 years. 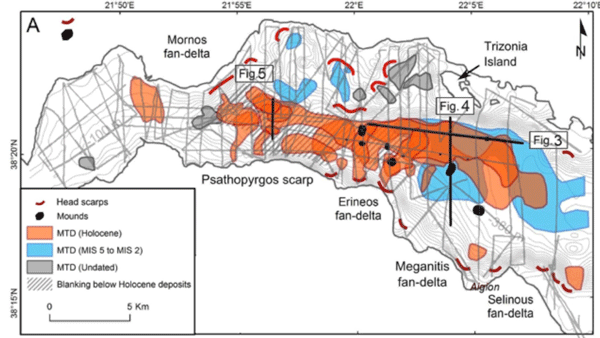 Such sliding events likely generated large tsunami waves in the whole Gulf of Corinth, possibly larger than those reported in historical sources. Rip currents are the greatest hazard to swimmers at surf beaches, but studies of the percentage of rescues and number of drownings attributable to rip currents have reached varying conclusions. This study uses rescue data reported to the United States Lifesaving Association by surf beach rescuers to show that rip currents are the primary cause of an average of more than 80 % of surf rescues, and to estimate that, they are the primary contributor to over 100 drowning deaths annually in the US. In 1958, at Lituya Bay in Alaska, the largest tsunami wave ever recorded took place. Since then, its numerical simulation has been a challenge and no numerical model has been able to reproduce, in the real geometry of the bay, the more than 200 m wave and the extreme run-up (climbing of the water up on land) of 524 m. The aim of our research, in the framework of a collaboration between the University of Malága (Spain) and NOAA (US), was to fulfil this gap at the same time as verifying our model. We investigate the source of the 1761 earthquake and tsunami. The reanalysis of the tsunami travel times agrees with an earlier suggested source area. We check the geodynamic setting of the area and place a fault as an extension to an identified fault and use numerical modelling to distinguish between two candidate sources. One of our theories is compatible with the geodynamic setting and reproduces well the observed tsunami parameters. This paper reviews the computation of vulnerability levels (VLs) of a coast to inundation with a known model. 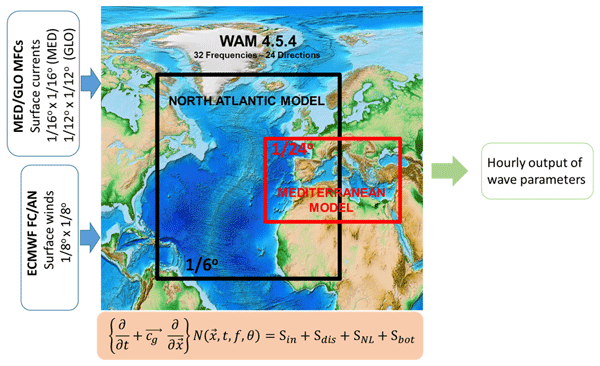 We refer to the original proposal, detailing the VL computation through an accurate investigation of the local wave climate. We prove that the resulting vulnerability is very sensitive due to the wave features taken into account, which have to be properly assessed. The research is the follow-up of a wider project set along the Bay of Lalzit (Albania). As coastal zones are densely populated, marine flooding represents a hazard threatening populations and facilities (e.g., nuclear plants) along the shore. Using historical data can significantly improve the analysis of extremes. To address this issue, 500 years of historical storms were recovered from archives and used in frequency estimations of marine flooding extremes. The new dataset provides a valuable source of information on storm surges for future characterization of coastal hazards. 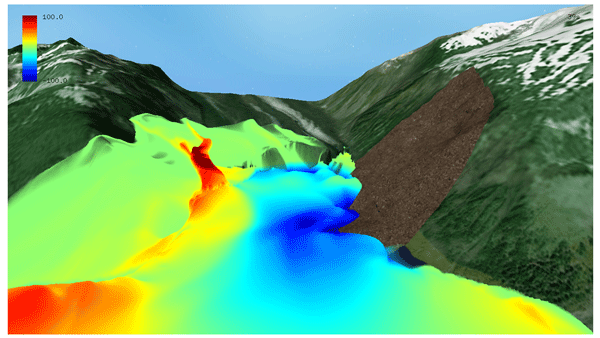 This work analyzes the response of a beach under a series of storms using a numerical model, in situ measurements and video imaging. Time recovery after storms is a key issue for local beach managers, who are pressed by tourism stakeholders to nourish the beach after energetic processes in order to reach the quality standards required by beach users. Typhoon Hato was one of the most damaging natural disaster events in the western Pacific region in 2017. It caused the the worst flooding in Macau since its instrumental records began in 1925. We present a high-resolution survey map recording inundation depths and distances at 278 sites in Macau. We provide a series of inundation maps under different tidal and sea levels. The maps that highlight adaptive strategies are essential in order to keep up with the pace of rising sea level. This study illustrates the implementation of a local-scale post-event survey that combined GPS and UAV-based techniques with qualitative information collected through interviews with local stakeholders. 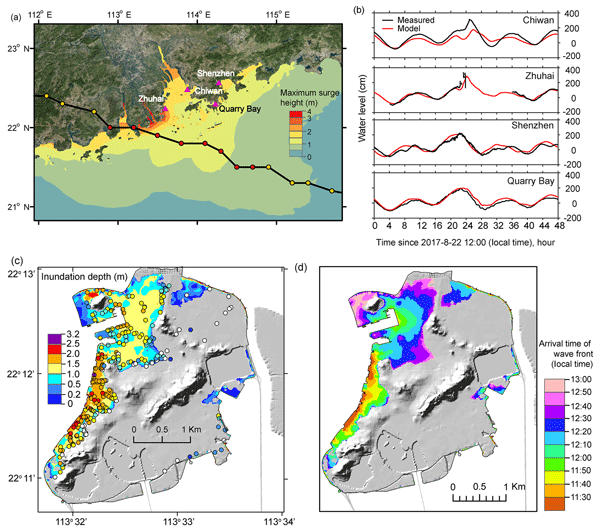 The comprehensive approach employed in this case study was conducted on the Emilia-Romagna coast (Italy), in the immediate aftermath of an extreme event that impacted the shoreline on the 5-6 February 2015, called the St Agatha storm. Forecasting and hindcasting the action of sea storms on piers, coastal structures and beaches is important to mitigate their effects. To this end, with particular regard to low coasts and beaches, we have configured a computational model chain based partly on open-access models and partly on an ad-hoc-developed numerical calculator to evaluate beach wave run-up levels. The results were validated by a set of specially conceived video-camera-based experiments on a micro-tidal beach. Tsunamis like those in Indonesia in 2004 and Japan in 2011 have shown like never before the destructive power of this natural disaster. This highlighted the importance of fast and accurate simulations for forecasting. We present a fully GPU-accelerated tsunami model for large domains that delivers results within minutes with high accuracy and efficient resource use. By using just three GPUs, results for the Indian Ocean were obtained in 15 min. This allows for fast evacuation and risk decisions. Tropical cyclone (TC) Debbie crossed the northeastern coast of Australia on 27 March 2017. A multi-sector consortium collected data throughout the event to produce a holistic picture of hazards and impacts at the coast. While water levels and waves were unprecedented for this area since monitoring began, TC Debbie can be regarded as a near miss in terms of widespread coastal flooding. 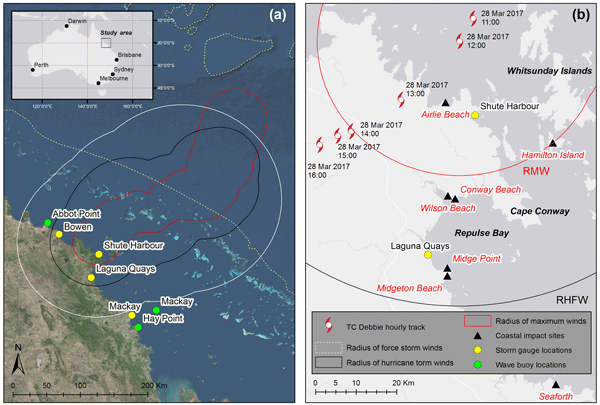 This work provides a case study of cross-sector data sharing in a natural hazard context in Australia. 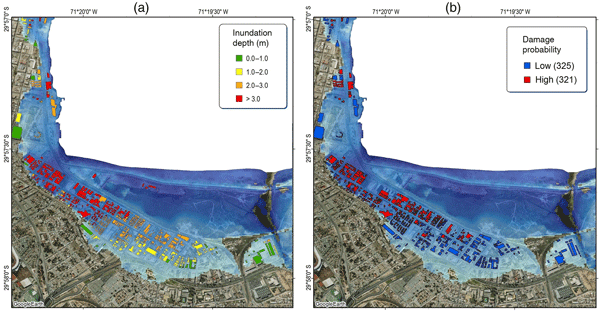 This article presents the comparison of two numerical models that model tsunami inundation that incorporates the built environment of coastal communities. It was found that the 2-D model did not accurately capture the important details of the flow near initial impact due to the transiency and large vertical variation of the flow. The 3-D model was able to capture transient characteristic of the flow, but at a much higher computational cost. We study the sedimentary record of past tsunamis along the coastal area west of Alexandria (northwestern Egypt), taking into account the occurrence of major historical earthquakes in the eastern Mediterranean. 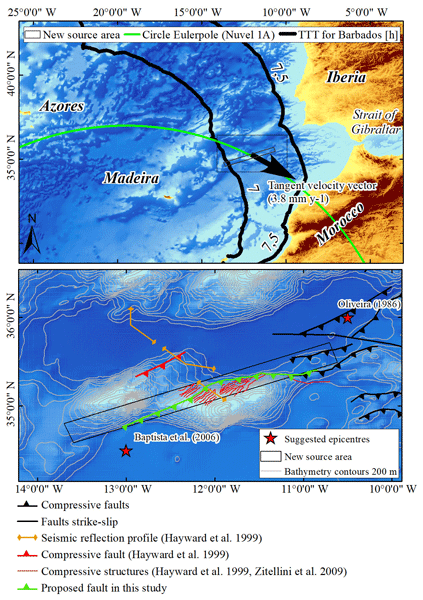 Dated charcoal and shell in sedimentary units allow the correlation with the 1870 (Mw 7.5), 1303 (Mw ~8) and 365 (Mw ~8) large tsunamigenic earthquakes. Our results point out the size and recurrence of past tsunamis and related hazards on the Egyptian coastline and eastern Mediterranean. The present research applies a methodology to estimate tsunami damage in a city in northern Chile which was recently affected by a tsunami and is now under reconstruction. The results are in good agreement with other results from plains in Japan, where low damage was observed at relatively high inundation depths. In addition, the damage assessment showed a significant impact in the city in the case of a new tsunami event if the city is rebuilt with the same type of structures. The maximum possible earthquake magnitude is Mw 8.15 with an average slip of 8.25 m in the southernmost portion of the Ryukyu Trench. One hundred slip distributions of the seismic rupture surface were generated by a stochastic slip model. The simulated results demonstrate that the complexity of the rupture plane has a significant influence on the near field for local tsunamis. 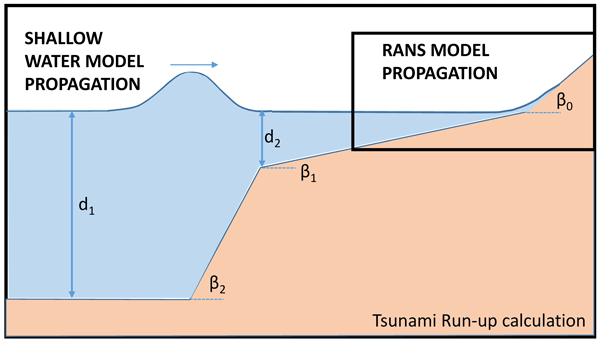 The propagation of tsunami waves and the peak wave heights largely vary in response to the slip distribution. The invasion of exceptionally cold water in the southern Taiwan Strait often causes huge damages to marine ecology and fishing activities. A strong cold event in the winter of 2008 led to the death of ~ 73 t of wild fish and damaged 80 % of cage-based aquaculture. We found that the La Niña cold winds play a central role to trigger the invasion of cold water. Therefore, a warning system was successfully developed on the basis of the Oceanic Niño Index and integrated wind speed. On 10 September 2017, Hurricane Irma made landfall in the Florida Keys and caused significant damage. To better understand the hurricane's damage to the Florida Keys, we first conducted hydrodynamic storm surge and wave modeling. By checking the surge hazards and post-damage satellite data, we determined the places to conduct detailed on-site surveys. We assessed 1600+ damaged residential buildings in Big Pine Key and Marathon. A statistical model is developed to understand damaging factors. Large boulders have been found on platforms that comprise the rocky coastline of Minorca (Balearic Islands), several tens of meters from the edge of the cliff, up to 15 m above the sea level, and kilometers away from any inland escarpment. 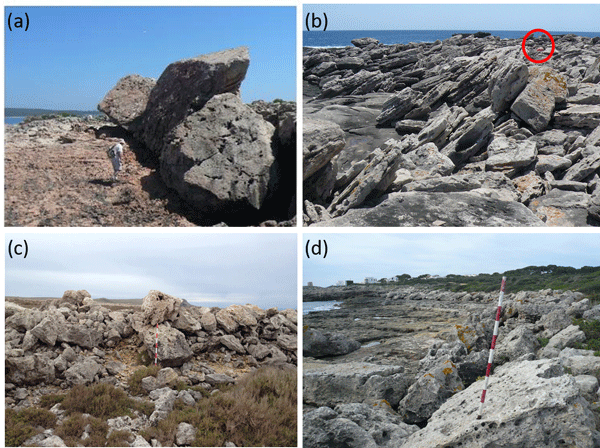 The age of the boulders, the direction of imbrication and the estimation of run-up necessary for their placement indicate dislodging and transport by northern Africa tsunami waves that hit the coastline of Minorca. Compound events – that is, two or more events occurring simultaneously – can lead to high impacts, even if the two single events are not extreme per se, i.e. only their combination. The possibility of utilizing statistical dependence methods in coastal flood hazard calculations is investigated. 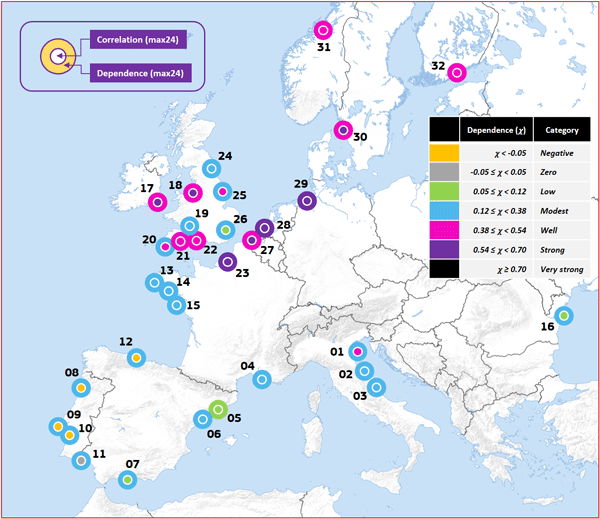 The statistical analysis between storm surge and wave height is performed over 32 river ending points along European coasts. The top 80 compound events are defined, and their low-level flow is analysed. Storms are common in tropical coasts and can cause dangerous flooding. To assess coastal flood hazards and the mechanisms controlling water levels, this study uses numerical modelling, applied to the north-western Yucatán Peninsula. Results suggest that (a) wave set-up is tidally modulated and can be an important process (up to 14 % of the extreme water levels), and (b) the tidal phase (low, high, rising, receding) and its occurrence probability have to be taken into account for risk assessment. 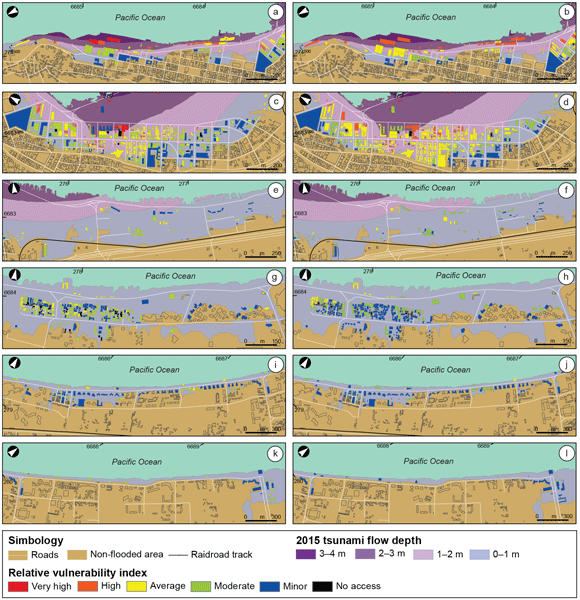 We have evaluated two methodologies widely accepted in the tsunami building vulnerability assessment taking advantage of the tsunami occurred in 2015 in central-northern Chile with the aim of validating their potential use in other Chilean cities. Our results show that version 3 of the model obtains is a better approach to the expected damages distribution and can therefore be a helpful tool for the assessment of futures mitigation measures in the land-use policies to come. Recent tsunami events have exposed the need for further work to develop and apply tsunami risk reduction measures. A key parameter that must be adequately determined is the run-up, the maximum elevation to which water from a tsunami wave will rise during its flooding process. In this work, a new methodology to simply calculate the run-up is presented. 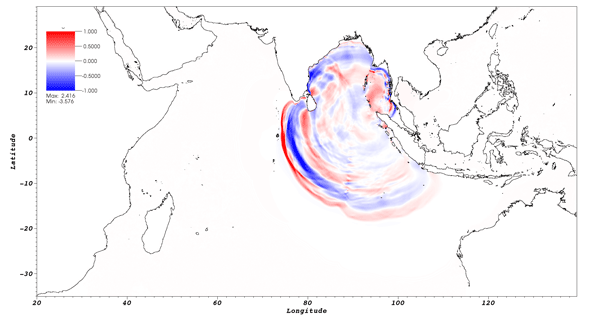 The methodology has been applied to calculate a tsunami run-up database, where the run-up of new events can be calculated by interpolation. This study looks at the importance of coral reefs and sand dunes in protecting the coast against flooding by storms. Many reefs and dunes are being degraded by human activities, making coastal areas more vulnerable. A computer model is used to look at the effects of reef and dune degradation on coastal flooding in Puerto Morelos, Mexico. 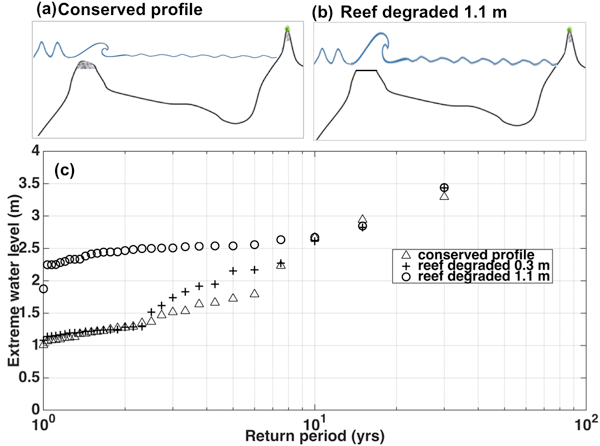 Results show that the conservation of both the reef and dune is important to protect the coast and decrease infrastructure losses in the short to medium term. Winds, waves and storm surges can inflict severe damage in coastal areas. To improve adaptability for such events, a better understanding of storm-induced coastal flooding events is necessary. 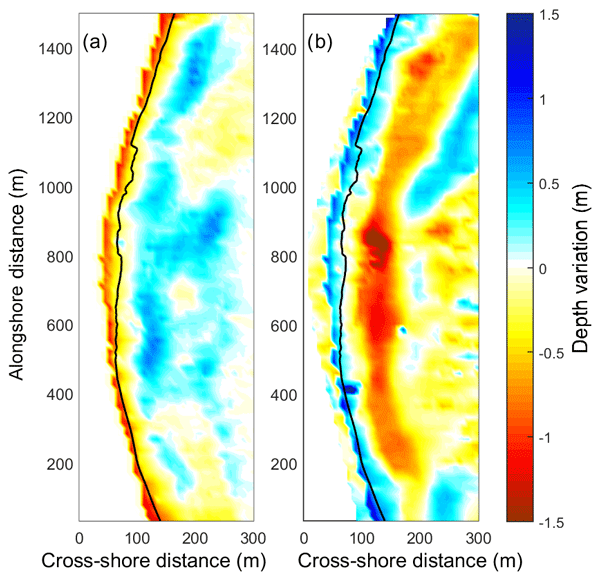 This article is dedicated to evaluating wave and surge reconstruction methods based on available reanalyses data for French and Bulgarian coasts. This study shows that the wave and surge models should be forced by downscaled winds rather than modelled reanalyses. The use of historical data in a regional analysis can reduce the uncertainties in extreme quantile's estimation. Historical data are significant extreme events that are not recorded by tide gauge. They usually look like isolated data and they are different from continuous data from systematic measurements of tide gauges. Thanks to the use of the credible duration concept, the proposed FAB method allows the use of historical data together with systematic data in a regional framework. This paper extends and updates the survey of extreme wave events in Ireland that was previously carried out by O'Brien et al. (2013). Events are categorised into storm waves, rogue waves, tsunamis and storm surges. Important questions regarding public safety, services and the influence of climate change are also highlighted. An interactive map that allows the reader to navigate through events can be found here. Findings from this study show that a huge number of new areas in coastal Bangladesh are going to face the impact of storm surge inundation as well as an increase in surge level due to the effect of sea level rise. These results are important for the local government to consider while they make new management and policy decisions so they can improve tropical preparedness plans by increasing the numbers of shelters and shelter heights. The 5 Dec 1997 magnitude 7.8 Kronotsky earthquake and tsunami occurred on a dark night in an unpopulated area. A limited (Dec 97) post-tsunami survey found relatively small run-up, which influenced some earthquake analyses. Years later, to our surprise, we discovered an extensive tsunami deposit up to 9 m above sea level on an unexplored coastal sector. Our tsunami runup data require reevaluation of earthquake rupture location and characteristics, and of the northern Kamchatka subduction zone. In a context of rising sea levels linked to global warming, the issue of marine flood risk is becoming central to the management of low-lying coasts in the decades to come. 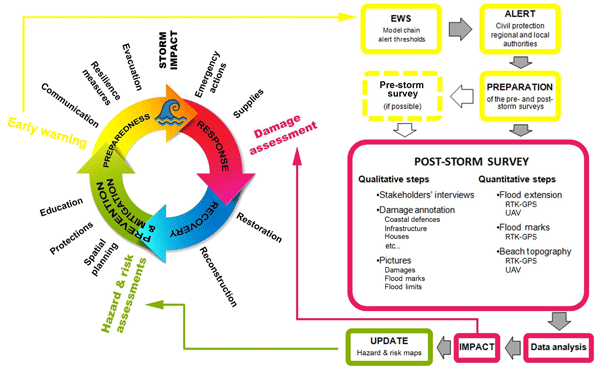 The CRISSIS research program aims to propose a multidisciplinary, integrated and operational approach of marine flood risk, involving geographers, modellers, geomaticians and specialists in risk and crisis management. This work is dedicated to understand and simulate the hazard through historical and statistic approaches. The Emilia-Romagna coastal plain is a low-land, highly urbanised area that will be significantly impacted by climate change. To plan adequate mitigation measures, reliable sea-level scenarios are needed. Here we suggests a method for evaluating the combined effects of sea-level rise and land subsidence in the year 2100, in terms of the increase in floodable areas during sea storms. The results allow for a regional assessment and indicate a significant local variability in the factors involved. This study develops tsunami evacuation plan in Padang, Indonesia, known as one of the most affected areas due to the future tsunami events generated from the Sunda subduction zone. The evacuation plan is constructed using probabilistic earthquake source modelling considering all the uncertainty of the future events. 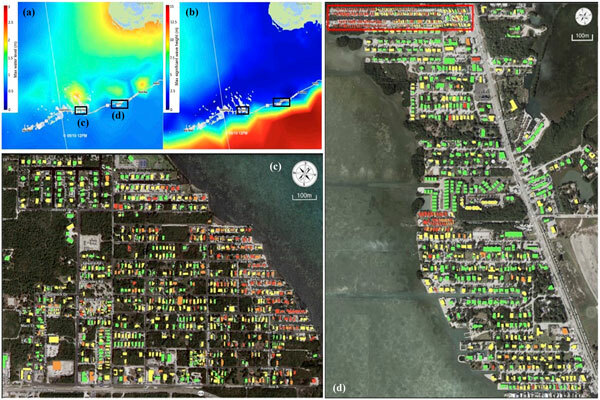 The results show that probabilistic approach may produce comprehensive tsunami hazard assessments which can be used for building more reliable and robust evacuation plans. 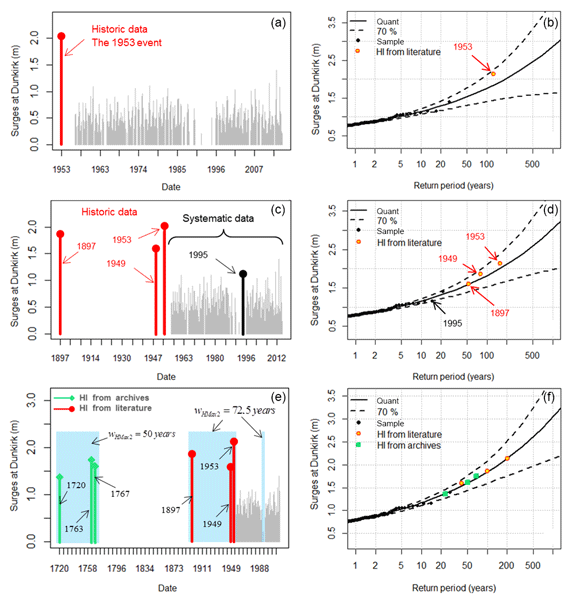 This paper provides a full range of possible future sea levels on a regional scale, since it includes extreme, but possible, contributions to sea level change from dynamical mass loss from the Greenland and Antarctica ice sheets. In contrast to the symmetric distribution used in the IPCC report, it is found that an asymmetric distribution toward high sea level change values locally can increase the mean sea level by 1.8 m this century. In this study, based on a 10-year ship accident dataset released by the International Maritime Organization, we analyzed the sea state characteristics during ship accidents that occurred in weather-related conditions. It is found that sea states of co-existed wind sea and swell, with close wave periods and oblique wave directions, represent threats to sailing vessels. We hope that these findings are valuable references to the study of shipping safety and also extreme wave mechanisms. 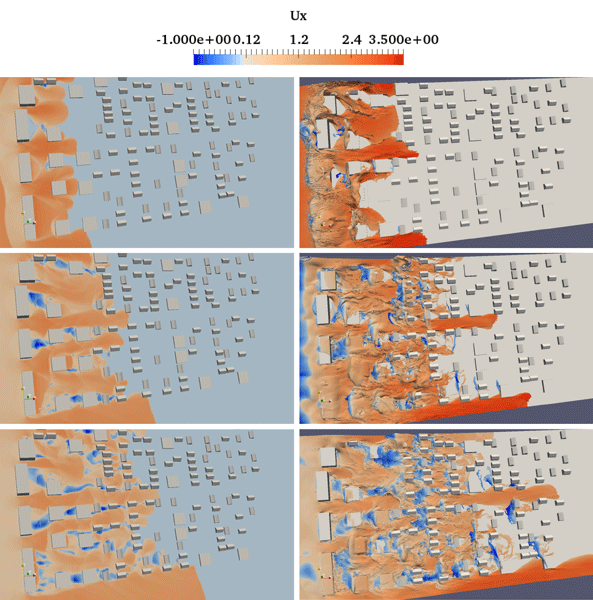 A numerical model was developed to simulate tsunami run-up in a densely built-up area by introducing internal hydraulic conditions on building footprints. Computation showed good agreements with observation on maximum wave heights and wavefront speed in streets in the 2011 Tohoku tsunami. 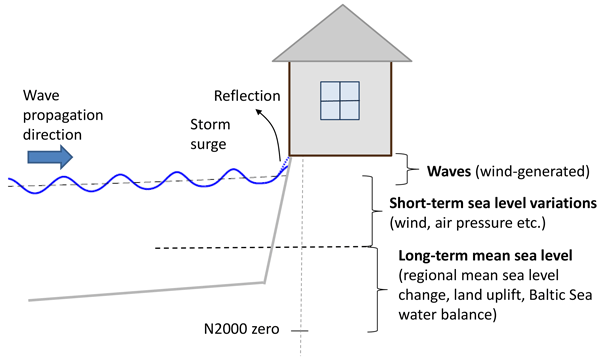 An indicator for tsunami impact was introduced based on observed distribution of washed-out houses, and a numerical experiment suggested that building array improvement would reduce damage of houses remarkably. 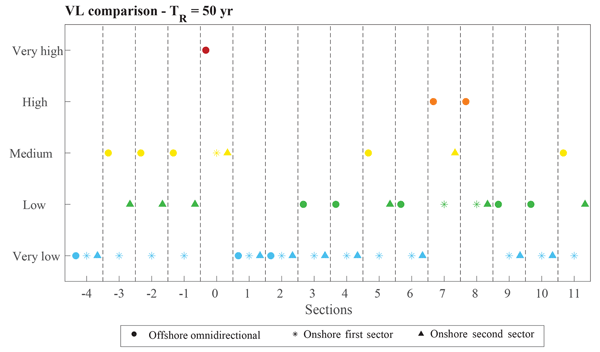 Assessment of design waves is performed using generalized extreme value (GEV) and generalized Pareto distribution (GPD) based on buoy data for 8 years and ERA-Interim reanalysis data for 38 years. The initial distribution method underestimates return levels compared to GPD. Intercomparison of return levels by block maxima and r-largest method for GEV theory shows that return level for 100 years is 7.24 m by r-largest series. A single storm can cause a large difference in the 100-year Hs value. We studied the highest wave events in the Baltic Sea using wave measurements available since 1996. Going beyond classifying them based solely on the maximum wave height, we found that they can be divided into two groups based on, for example, the length of the storm. Two of the severest storms show different behaviour, with the most recent (in 2017) being the longest on record. We hope this more in-depth description of the storms will aid in the issuing of warnings for extreme wave conditions. We used state-of-the-art numerical models and statistical approaches to investigate coastal flooding due to hurricanes and sea level rise for Martinique. The nonlinear interactions of surges with sea level rise are found to reach several tens of centimeters in low-lying areas where the inundation extent is strongly enhanced compared to present conditions. The results presented is this paper are of primary interest to coastal planners and decision makers in Martinique and the Lesser Antilles. 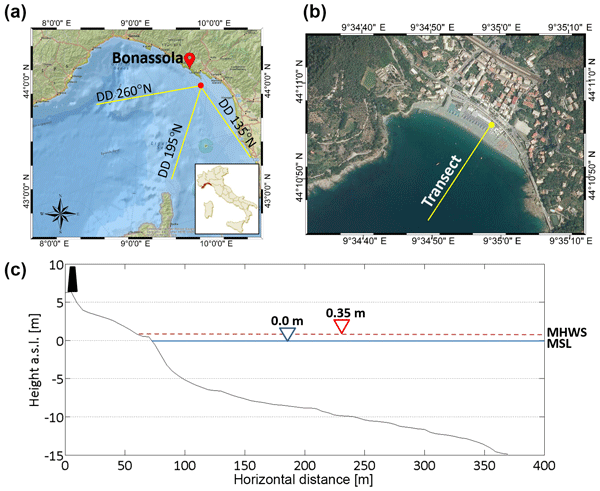 The study of the shallow coastal area of the Sele mouth in the Gulf of Salerno (southern Italy) identified the features of nearshore circulation, which often produced rip currents. The occurrence of a rip current cell circulation in restricted ranges of heights, periods and incident directions was related to the non-dimensional fall velocity parameter, which proved to be an efficient index for rip current formation. Recent coastal floods in the USA have highlighted a lack of resilience in poor communities. By researching successes from Bangladesh and Cuba, this paper details how lessons from these countries can reduce the vulnerability of less well-off or isolated American citizens to future coastal storm surges. The relevance of the lessons learnt from Cuba and Bangladesh to the USA was assessed. Transferable lessons include the importance of volunteerism and education in developing a “culture of safety”. Time series of hindcast wave data on the eastern Mexican coast were analysed. 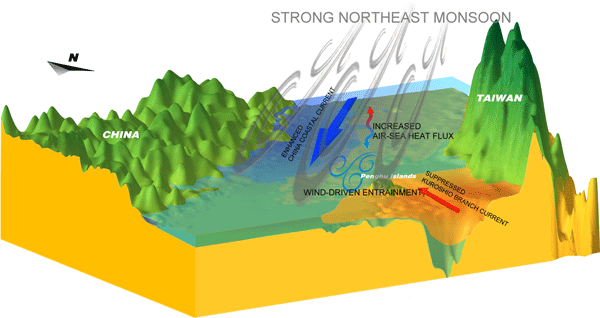 The goal was to examine the presence of interannual trends in the number or the main features of wave storm events. Storms were classified as related to tropical cyclones or Norte events. There is no significant change in the events related to Nortes during the study period. However, there are subtle increases in the number, wave height and energy content of events related to tropical cyclones in the western Caribbean. 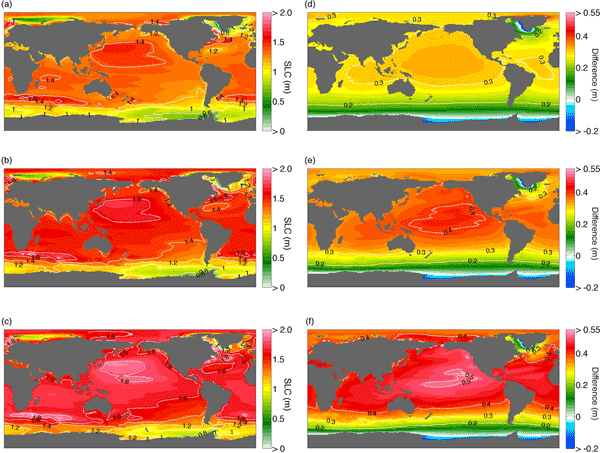 In this work, we present a methodology to compute a synthetic catalog of tsunami waveforms. To do this, we compute a synthetic earthquake catalog that respects the kinematics of the plate boundary. We use a method to do the fast computation of tsunami waveforms for all events of the synthetic waveform catalog. The method can be used in similar geological environments. In this work we assess the impacts in reshaping coastlines as a result of sea level rise and changes in wave climate. The methodology proposed combines two wave models to resolve the wave processes in two micro-tidal sandy beaches in Mallorca island, western Mediterranean. The modelling approach is validated with observations. Our results indicate that the studied beaches would suffer a coastal retreat of between 7 and up to 50 m, equivalent to half of the present-day aerial beach surface. Rip currents pose a major global beach hazard. Despite increased social research into beach-goer experience, little is known about levels of rip current knowledge within the general population. This study describes results of an online survey to determine the extent of rip current knowledge across the United States, with the aim of improving and enhancing existing beach safety education materials. Results suggest a need for locally specific and verified rip forecasts and signage. 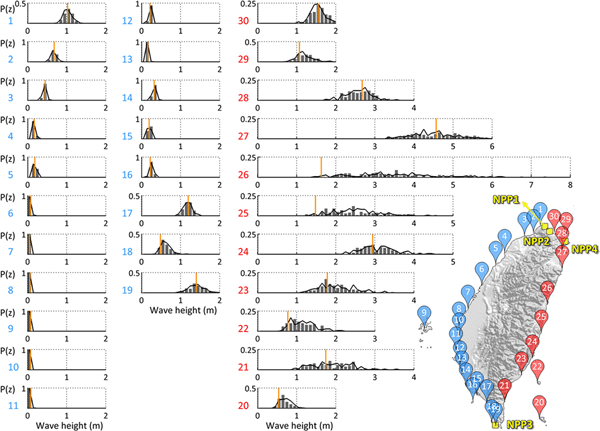 Here we present new numerical simulations showing that Holocene submarine landslides along the North Anatolian Fault in the Aegean Sea may have triggered tsunamis higher than the ones expected for earthquake sources. During the Holocene, the shore facing the city of Alexandroupoli may have been impacted by tsunami up to 1.65 m at the coastline.